"The league also has the team names, team colors and logos ready to roll out in about mid-March," Luck told the HBJ. In addition to hiring team executives, the league is also finalizing a deal with its two TV partners, Luck said. Another random thought: When Oliver Luck said the coaches would be hired in 6-8 weeks most of us thought that meant that they would release all the names in a couple months from now. Instead, it looks like 1-2 coaches will be announced per week depending on the circumstances until 6 to 8 weeks later when they are all announced. Here's a poll from the Star-Telegram on what people want the XFL Dallas team name to be. Not as extensive as the board's poll, but with over 100 votes it could be a very nice estimate to what the results to the XFLBoard.com poll on team names will be for Dallas. Hmm, Gunslingers, despite being as benign as it is, might not pass the "family-friendly" test. Desperados is fine, but a rehash of a failed Arena team. Wranglers is another ok one. Hopefully the league can be a bit more original. Also like the video to show your support to XFL2k! Sounds like guessing or speculation, more than actual reporting. It’s safe to assume that there will be another coach hire in the coming week. 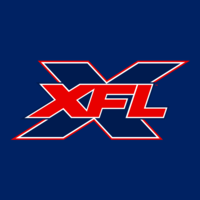 Regardless, all XFL fans should support every site that is dedicated to the league. It’s cool that there a few podcasts and websites promoting and following the league.